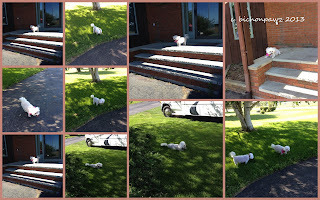 bichonpawz: Wordless Wednesday: Spa Day! Yikes don't remind me. 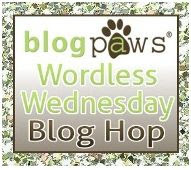 Have a wonderful wordless Wednesday. You too are two cute! Hope you have a wonderful Wednesday! Bet you'll be lookin real pretty after the spa! aw! Bet you are smelling nice and pretty now. The color you captured of the green grass is stunning! You girls are so pretty! Love the pink bandanna! You two look extra pretty today! PURTY!!!! I bets you Moms is lovin' your sweet smells!